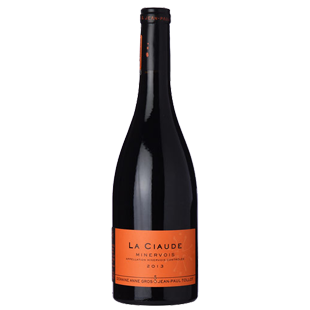 "The 2014 Minervois la Ciaude is an old vine mix of Carignan, Syrah and Grenache, from the clay and limestone soils around the estate, that was completely destemmed and brought up mostly in the barrel, with 20% in the tank. Like all of Anne’s wines, it has a terrific purity of fruit and an overriding sense of elegance to go with lots of blackberries, crushed rock, earth and wet stone-like minerality. It has fine tannin on the finish, yet is far from unapproachable today. Still, give the bottle a year or two in the cellar and it should hold through 2024."